Hello! 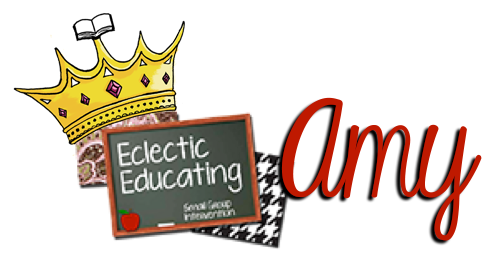 It's Amy over from Eclectic Educating again! 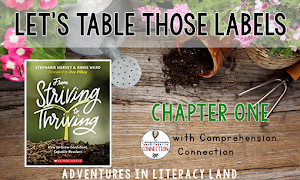 Today's post is just a little explanation of one of my favorite activities from the amazing Debbie Miller. Is anyone else out there completely in awe of the wonderful Debbie Miller? I had the privilege of seeing her speak at a conference my first year teaching and loved every minute of her session. We studied her book Reading with Meaning: Teaching Comprehension in the Primary Grades in great detail in my college classes. I really love how she gradually fosters independence in her students with the key reading strategies. 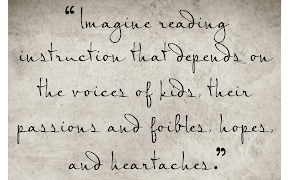 My post today focuses on an idea found in her second book Teaching with Intention. The activity is very simple, but my students loved it! After I finished labeling the different sections, I laminated all of the file folders, for durability. In her activity, Debbie Miller used full sized post-its, but I found that the mini post-its worked better for my students. 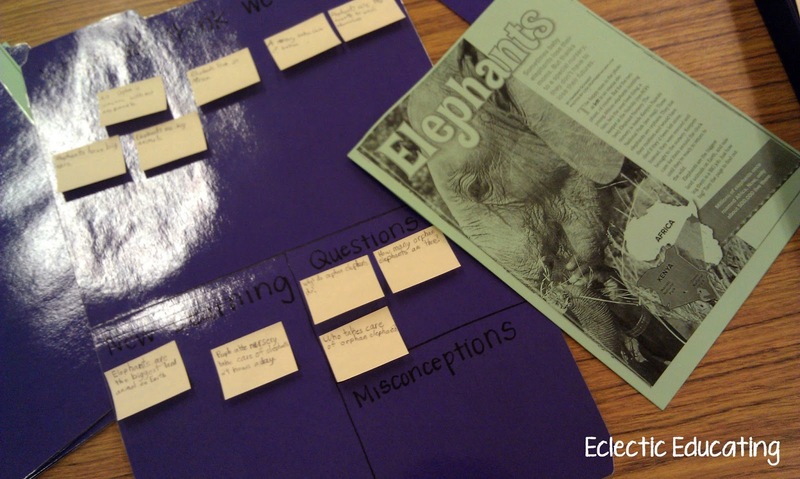 This activity works well for most nonfiction texts. 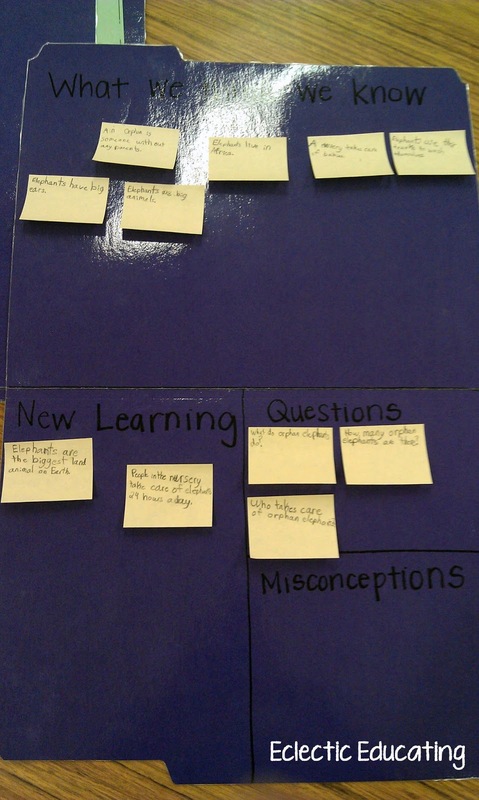 To begin, I have my students record what they think they know on post-its. 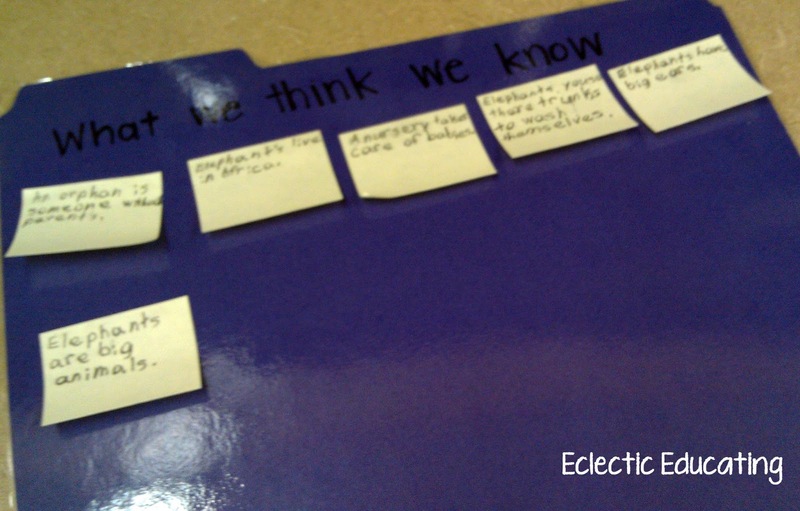 We label it as what we think we know because sometimes students have misconceptions about a topic. If we find this to be the case, we simply move the post-it to the misconception section later on. 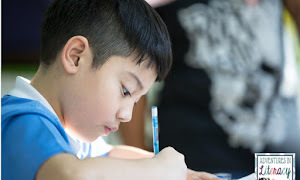 I found that this activity really got my students to focus on their own thinking during their reading. They also were really excited to use file folders and post-its. It's the simple things right? Some of my favorite texts to use for this activity are articles from Ranger Rick magazine. Thanks for another hit Debbie Miller! Is anyone else out there a huge Debbie Miller fan? If not, who do you admire? Ooh, I love how concrete this is! 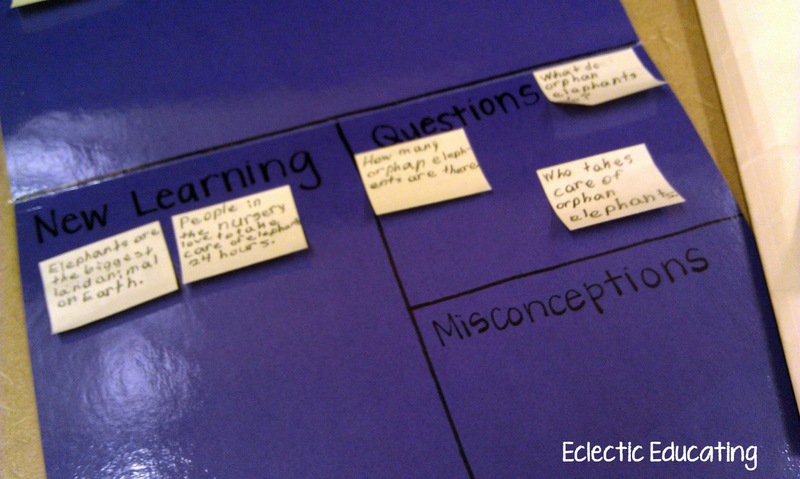 I think it would really motivate my students to pull specific facts out of the text if they got to write it on the Post-It notes, and I love the idea of having them categorize their learning and have to consider moving it, too! It's such a good way to teach them the critical thinking in a hands-on way. Thanks! I was fortunate enough to spend a day with Debbie Miller at a workshop and she shared so many wonderful things. Our second grade teacher uses this on a large chart in her large group teaching area and the kids love it!